It's release week over at Neat and Tangled and I can't wait to share all the fun with you this week. Today I am featuring a card using the new So Lucky stamp set. I'm not even a little bit Irish, but I always love celebrating St.Patrick's Day. This set has such a wonderful big bold sentiment, and the cutest little shamrocks too! Don't forget - there is a giveaway every day this week of the set(s) being featured that day, and a $25 gift certificate up for grabs at the end of the week. Comment on all of the design team blogs all week for a chance to win. Winners will be announced on Friday at 7:30am EST! Hi there and welcome to my stop on the Hero Arts Winter Catalog Blog Hop! I am so excited to be hopping along with this group of fabulous ladies and all of you today, so thanks for stopping by. You should have arrived here from the blog of the amazing Amy Tan. Hero Arts is giving away three $25 shopping sprees, drawn from comments left across all blogs in the hop. Please comment by Sunday, August 28 at 11:59pm PT and the winner will be announced the following week. And one more just for fun, I stamped a whole bunch of the Santas to create a background paper for my card, and colored them in loosely with watercolor and a spattering of black paint for some interest. I finished off the card with some red and white twine, and the tiniest little jingle bell. Isn't it fun? Hi everyone! All the winners for the Simon Says Stamp Monday Challenge STAMPtember® blog hop have now been posted. Congratulations Milka, enjoy your grab bag! 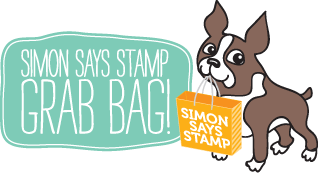 The Simon Says Stamp team will contact you to make sure you get your prize, and there is also more information on the Simon Says Stamp Store blog. Thank you all so much for your wonderful comments on my Live Out Loud Mixed Media Panel, I enjoyed reading them all! Sharing a fun colorful card today that is perfect for Valentine's Day or to send love any day of the year. This fun new Amor stamp can be found on p.4 of the Hero Arts 2015 Spring Catalog and will be coming soon to stores near you. This was an easy CAS card to make. Just stamp in black Versamark and emboss, then color in with moonlight pens. hero arts: collage style valentines & a giveaway! Just sharing some fun collage style cards today that I made with and older (but still fabulous) Hero Arts set. I love any type of heart stamps and the ones in this Untitled Heart set are no exception. Would you like one for yourself? Just leave me a comment below and I will pick a winner next week! This one features the Music Background stamped on torn paper in gold with a little inking on the edges. The seal from the Untitled Heart set was stamped on ripped canvas paper to provide an additional layer. This one is super easy to make. A white wash of paint on a kraft note, a spritz of Cup O'Joe spray through a stencil, some purple ink through another stencil using a foam dauber and a few stamps topped off with a cut out heart and some gems. a week of gratitude: giveaway winners! Thanks to all of you who have been following along with the giveways this week. Sorry this one is a bit late. Make sure to check back on Monday when I announce all of the winners for the week and I'll also have some very fun creative news to share with you! Just leave a comment to win, and I'll be back with the winners on Monday!